When she had to go to a friend’s house a 61-year-old woman drove even though she did not have insurance for the car. 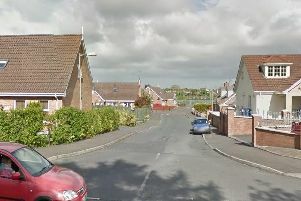 Violeta Denisoviene, whose address was given as Gloucester Avenue, Portadown, was fined £200 last Wednesday at Craigavon Magistrates Court for driving uninsured. She was also given six penalty points and ordered to pay a £15 offender’s levy while she was fined £100 for failing to produce her driving licence. The court heard the offences were detected on August 11 this year in Thomas Street, Portadown. Mr John McAtamney, representing the defendant, said his client had been saving up for insurance for the vehicle. He explained that rather than walk around to a friend’s house to look after her friend’s child she had taken the vehicle.